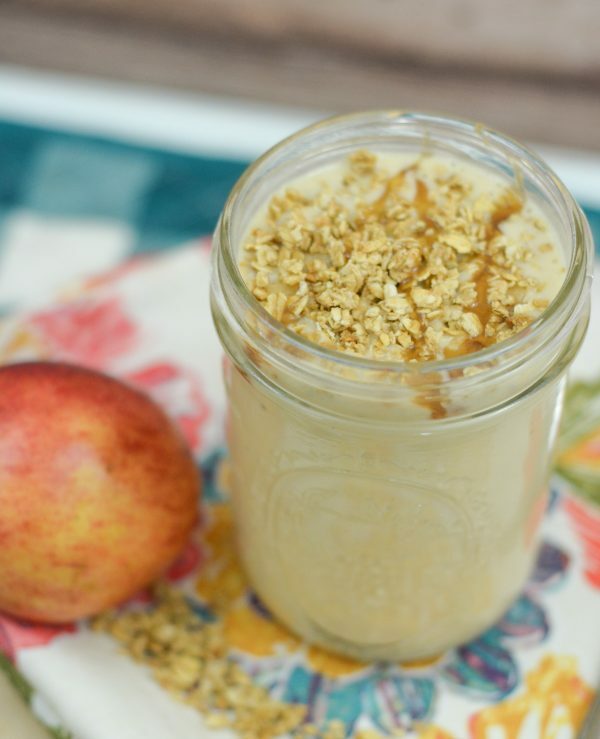 Enjoy a refreshing Caramel Apple Smoothie with Pompeian Organic Apple Cider Vinegar, the perfect addition. 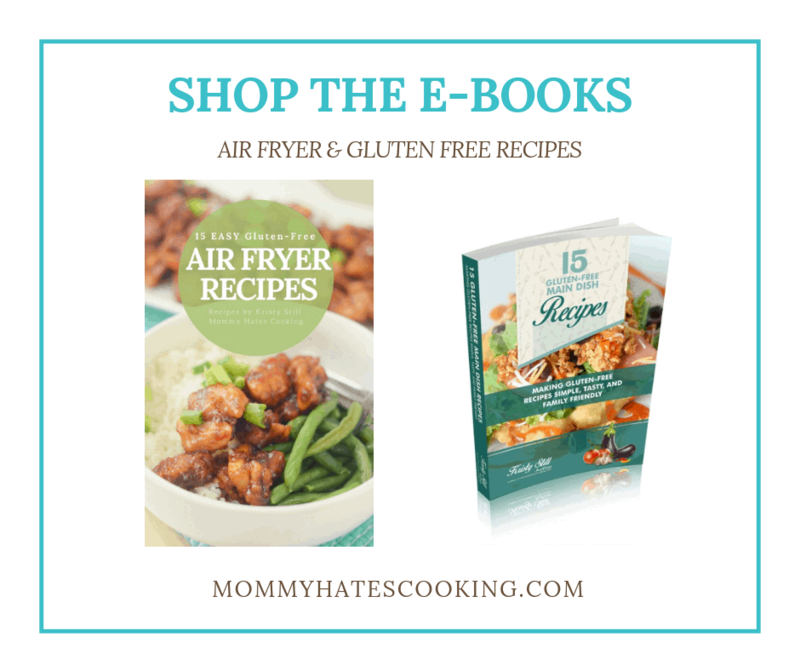 Did you know that there are some health benefits to a few items lurking in your pantry? It’s true! One of those is Pompeian Organic Apple Cider Vinegar. 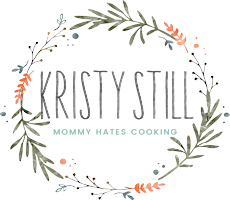 It’s shown that by adding 2 tablespoons of cider vinegar with mother daily offers quite a few health benefits. The best way to truly reap the benefits is by adding it to your daily diet. It’s best to mix into your favorite drink since it does have a tangy taste. 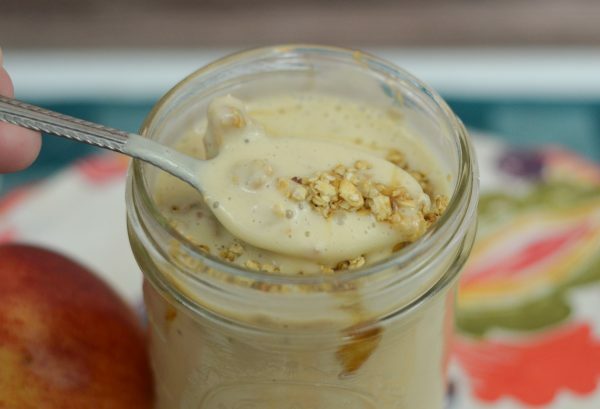 I decided to mix it into a Caramel Apple Smoothie for a delicious mid-morning, post-workout treat! 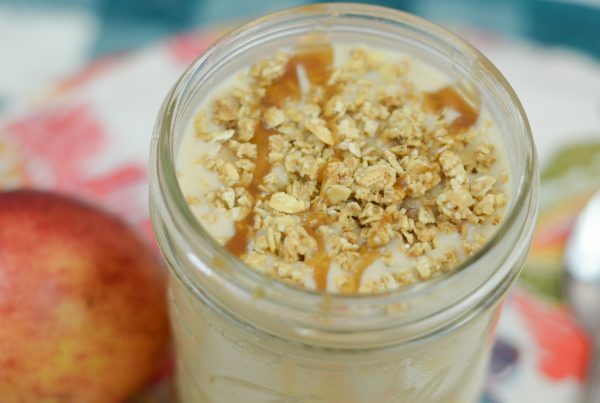 How do you make a Caramel Apple Smoothie? 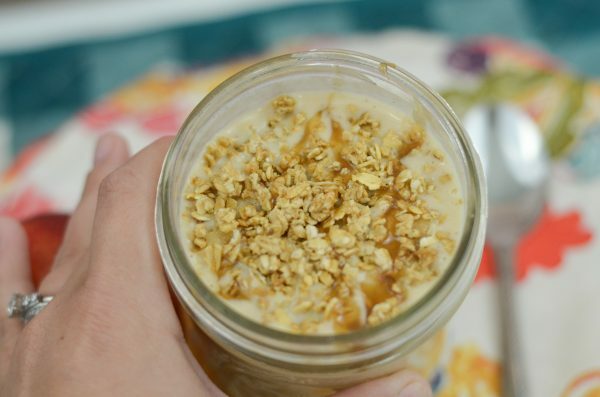 I love to use items from the pantry and fridge to whip up delicious smoothies. 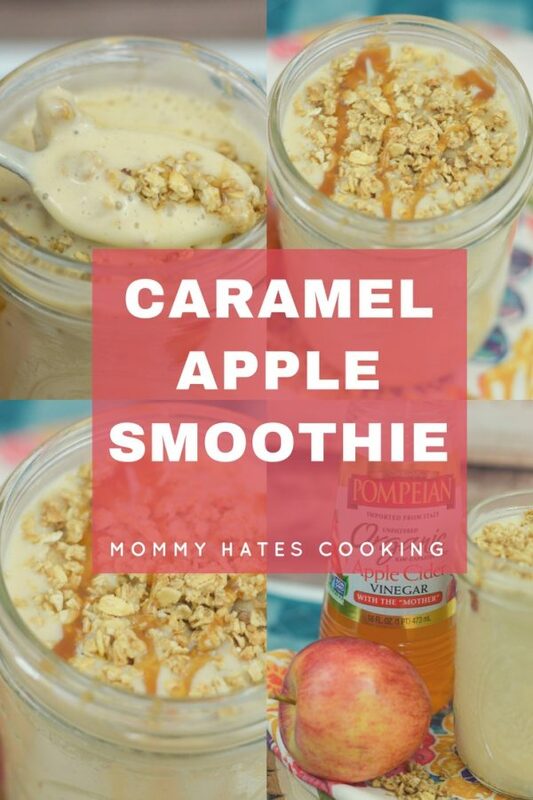 This time I used applesauce, Greek vanilla yogurt, peanut butter powder, banana, peanut butter powder, and a bit of caramel, mixed it together with the addition of Pompeian Organic Apple Cider Vinegar. 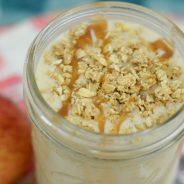 This Caramel Apple Smoothie can be served by drinking it through a straw or with a spoon topped with your favorite toppings for a tasty smoothie treat. I love enjoying these after a workout, it’s a great way to boost my protein intake plus get those health benefits too. 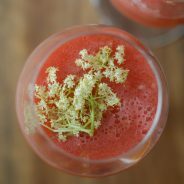 It can also be used in marinades and vegetables, but a great way to be sure you get it added daily is in drinks. 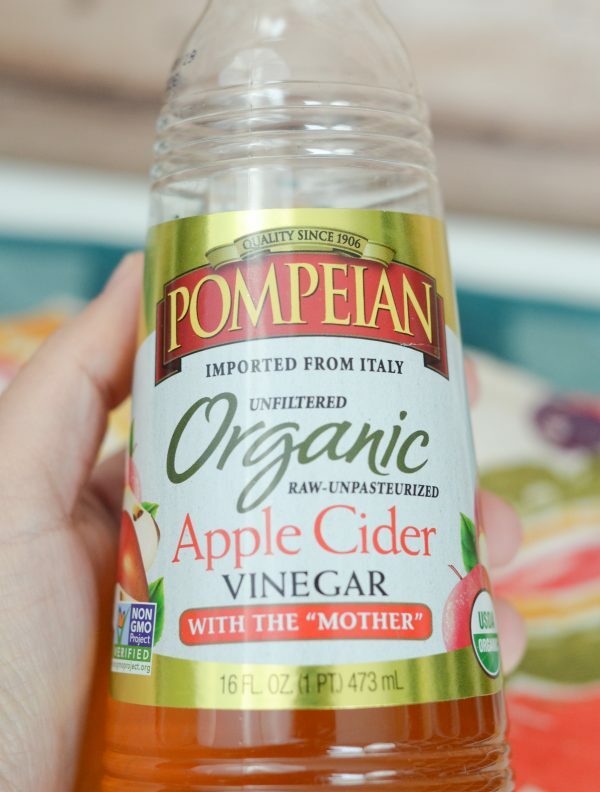 Pompeian does not filter or pasteurize the vinegar, which helps to maintain the health benefits and preserver the ‘mother’ in the produce. The mother is a dark, cloudy substance that is formed from naturally occurring pectin and apple or grape residue. 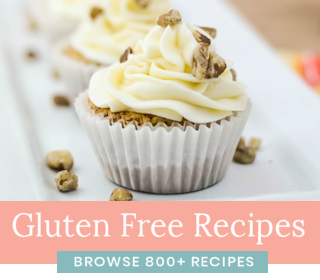 Some of those health benefits include high volumes of polyphenols, which helps with digestion, boost the immune system, combats cholesterol, prevents dandruff, soothes sore throats, keeps the skin healthy, and promotes weight loss too by reducing the excess fat cells. Wouldn’t you want to add that to your diet when it boast all of these great health benefits? The key though is to add it regularly so that it really builds in your body. 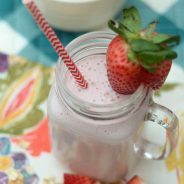 The best way that I get a daily addition is in drinks and especially smoothies. 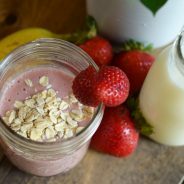 I love to enjoy a smoothie after a workout and it’s a great way to add in the vinegar and the taste becomes subtle and not overpowering. 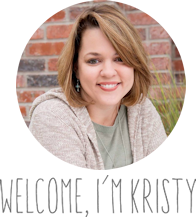 Are you ready for a treat? 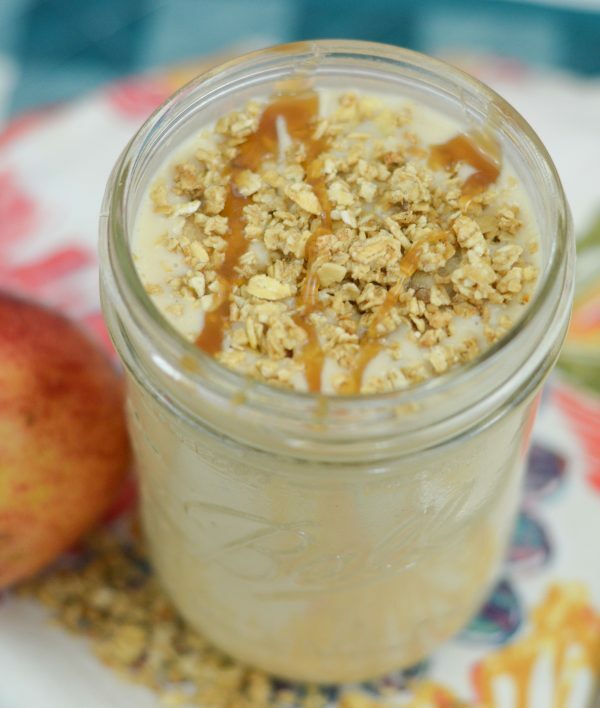 It’s time to try this delicious Caramel Apple Smoothie! 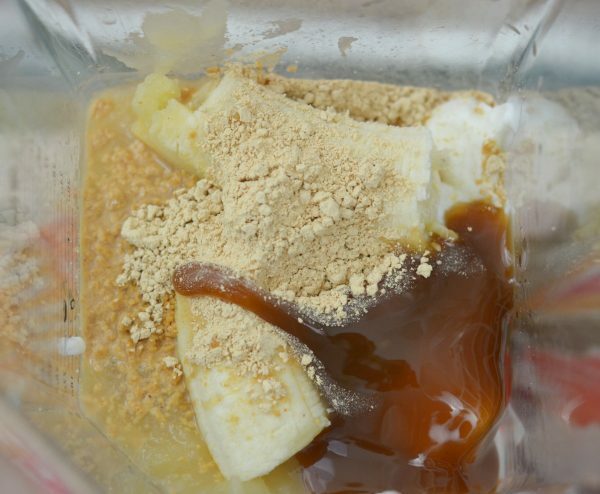 Combine all ingredients in a blender and serve topped with toppings like granola or caramel drizzle.